Remember my trip to Salem last October? I had the pleasure of shopping at Seed Stitch Fine Yarn, a lovely little yarn store run by the friendly Courtney over at A Yarn Tale. She had so many great samples of knits all around the store, but I was particularly smitten with a set of knitted washcloths she had displayed on one of the tables. I immediately recognized the pattern – the dishcloths from the White House layout in the Debbie Bliss Spring/Summer 2009 magazine. I was impressed by both the generous size of the washcloth, as well as the softness of the yarn. 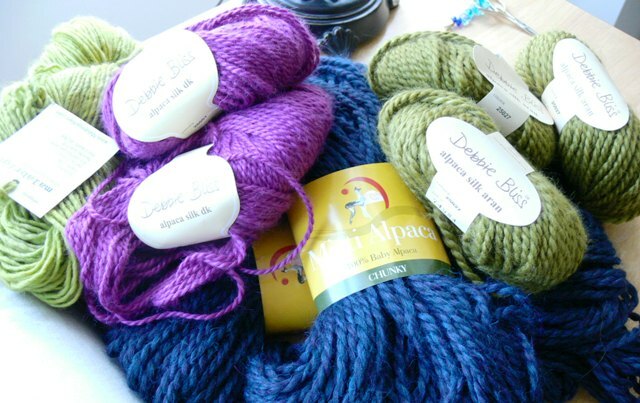 One of the helpful women in the shop said they were knit in Aslan Trends Glaciar Del Cielo, so I quickly bought 2 skeins. 6 months later, I finally got around to knitting them, and I do have to say that I love this yarn! It has such a nice hand and the drape is just so beautiful. This one is noticeably rougher than the other two, but the dusty-miller grays and greens and spring crocus flower shades really pull the set together. This one is definitely more of a dishcloth. 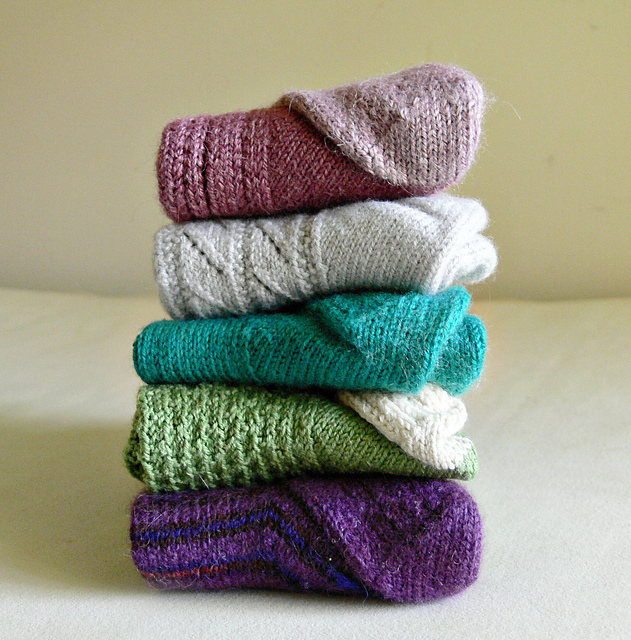 I packed the three cloths with a bar of Burt’s Bees Milk & Shea Butter soap – she really loved them. 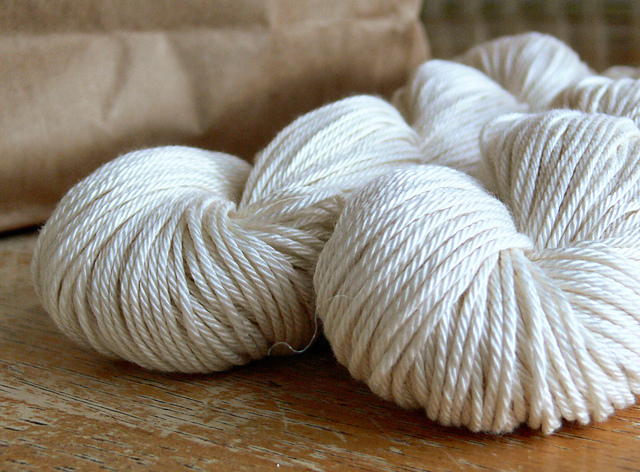 This yarn is definitely a good, solid cotton to have in your stash, and I will definitely be ordering more of it soon. 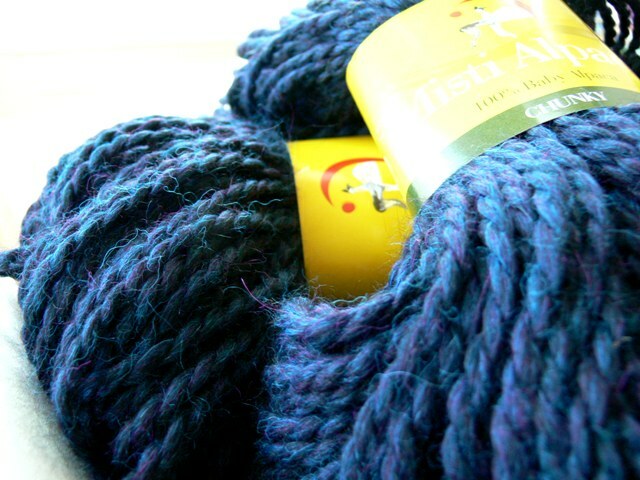 Yarn: Aslan Trends Glaciar Del Cielo in colors #18 Gris and #114 Reno, 1 skein each. Also, Lily’s Sugar’n Cream Ombres in #2235 Countryside, 1 ball. This section has loose, lightweight sweaters in shades of cream and beige that are made for poolside lounging while drinking cool glasses of iced-tea. Patterns include a hooded sweater (seen on cover), a cabled v-neck, two cardigans and a boxy sweater with an asymmetrical neckline. My queue worthy pattern in this Striped Top, which in addition to the buttoned neckline, has a line of buttons going all the way down the back. I would knit this in navy and white, to give it a little french-girl flair. 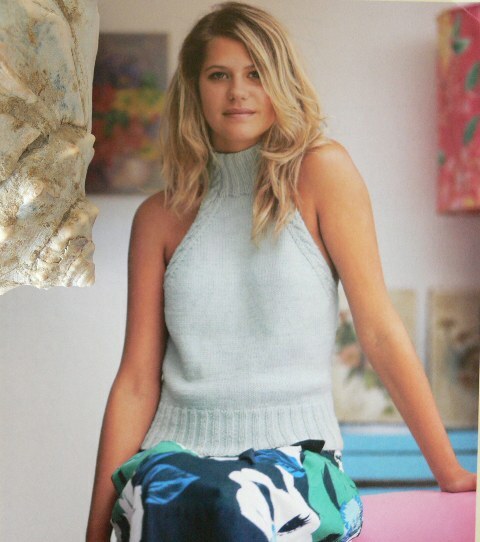 The next section, Simply Summer, switches to color – where she showcases a dress, two cropped cardigans and a cabled turtleneck tank knit in punchy shades of purple, green and blue. The sweaters were a little cropped for my taste, but my queue-worthy pattern was definitely this lilac-colored, silk tunic dress. I want to knit one so I can wear it down to the beach over my bathing suit! This section had the most patterns – eight sweaters including four cardigans (two long, two short), three pullovers and my queue-worthy pattern, this cabled tank top. The way the cables seem delicately braided together is just beautiful. I would pair it with a white linen skirt, some metallic sandals and demure gold jewelry for an easy summer party outfit. There are four simple tank patterns in this layout, a rib-knit tank with a plunging back, a stockinette stitch tank with a rolling neckline, a polo-style tank with a three-button placket, and my queue-worthy pattern – this raglan-shaped turtleneck. I’ve been working on toning up my shoulders lately, and this sweater would showcase my hard work perfectly! Debbie’s baby sections are always sugary-sweet, and this four-pattern layout is no exception. 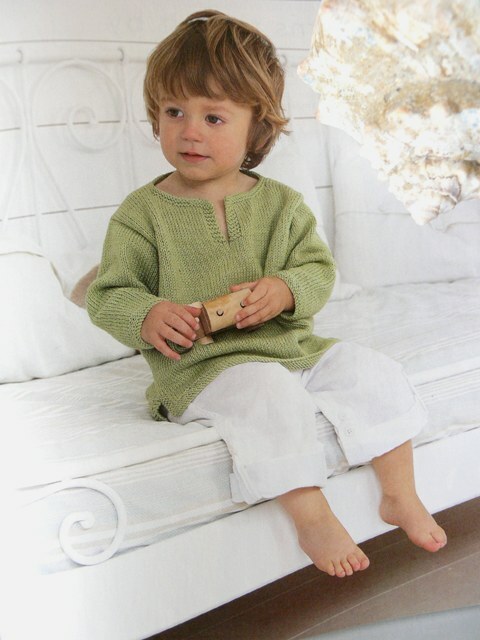 For the girls, there is a an a-line top with pleated yoke and a moss & stockinette stitch sundress. And for the boys, a buttoned-down grandpa-style cardigan, complete with pocket and my queue-worthy pattern, this caftan-style pullover. It looks so roomy and soft – oh, and get a load of his cute little feet! 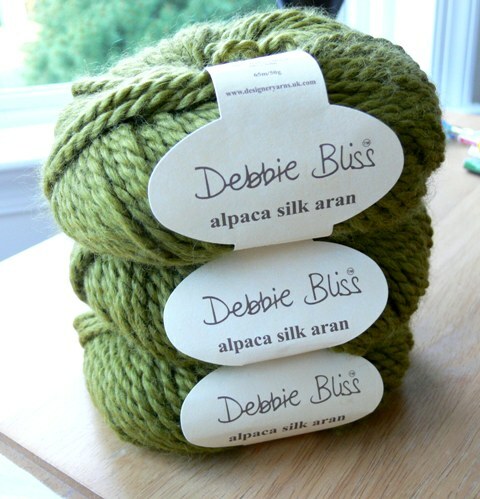 What fun it would be to have your own line of yarn and just sit and make up delicious things to knit all day! 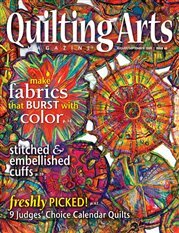 Some other goodies in the magazine: a baby blanket with an entrelac tutorial, an article on Knitting in Elizabeth’s England, an interview with knitwear designer Jenny Watson, and a recipe for Raspberry Shortbread. My brother-on-law, Beau, asked me to knit him a skull hat way, way back in the day…and I would have knit one for him sooner, except I needed to teach myself how to do stranded color-work. Luckily for him, that was a technique on my list of 2010 Knitting Goals (along with sock knitting, mastering the kitchener stitch, knitting myself two sweaters, and starting holiday projects in June). There was an article in the Fall/Winter 2009 issue of Debbie Bliss Magazine that gave a tutorial on stranded color-work, which was extremely helpful. Basically, along the back of the work, I carried my main color (black) over my contrasting color (gray). 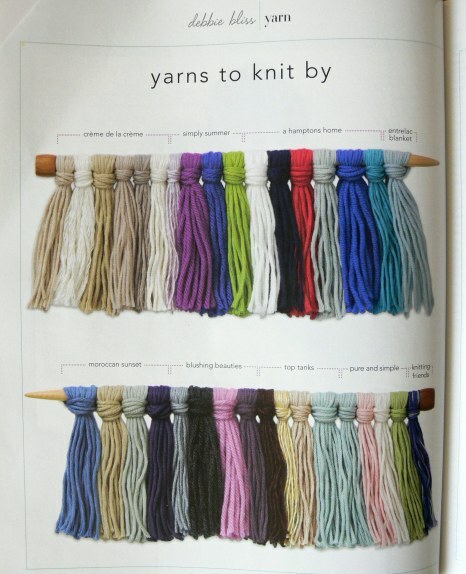 These long, carried strands are called “floats.” It sort of reminded me of when you carry a color up the side of a piece of knitting, only this time you are carrying the yarn horizontally instead of vertically. One of the cool things about this pattern is the clever ear band – the first 24 rows of the pattern are straight stockinette, followed by a purl turning row. 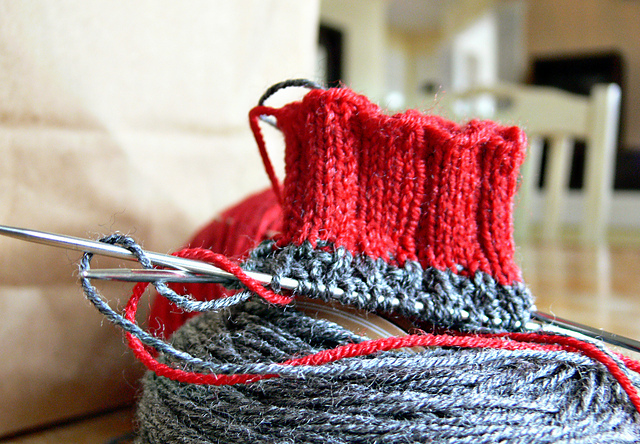 This creates a flap which gets folded up and either sewn or knitted to the inside of the hat. 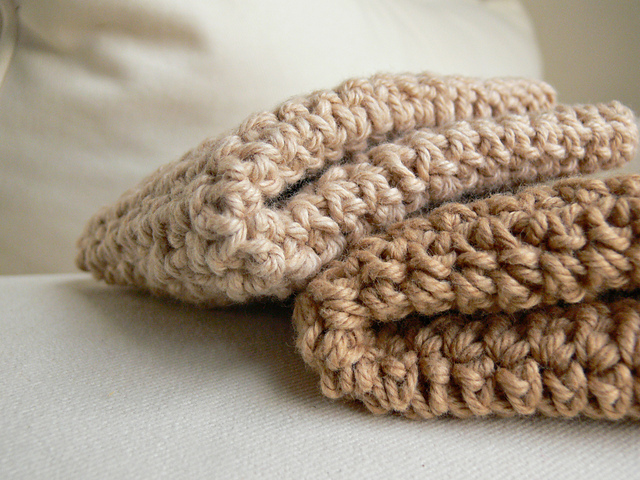 The flap serves two purposes – one, it covers the floats of the skull pattern running along the inside of the hat; and two, it creates an extra cozy layer of warmth around the ears. Helpful hints: If you are doing the long tail CO instead of the provisional CO, leave your CO tail very long, so that it can be uses to stitch the ear band in place. Also, I did not use the smaller size needles to knit the ear band – the whole hat was knit using the 8″ circs. My darling sissy took a little trip out to Oregon this past weekend to visit with Mom Jodie, and she was sweet enough to bring me back a few surprises! Let’s have a look, shall we? Besides being super-soft, the colorway is fantastically quirky – it’s a tealish-navy with flecks of magenta. It’s got a retro-80’s vibe to it and is begging to be knit into a chunky seed-stitch scarf for winter. 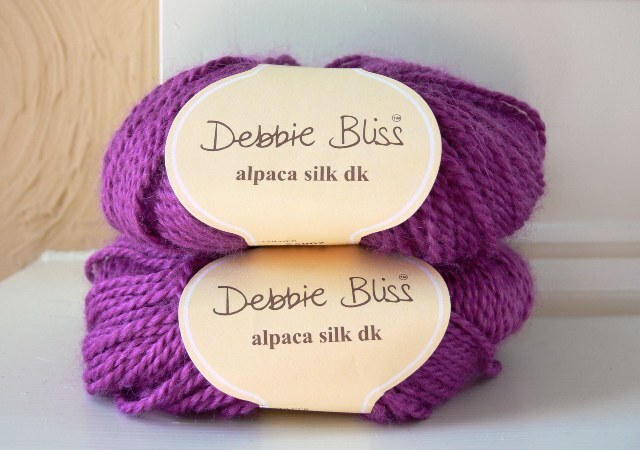 This amazingly silky yarn will most likely be turned into a simple winter hat and mittens. There is a certain luminescence about it, and it should do a good job of brightening up my pale complexion. I am debating what to use this for…maybe a lacy scarf or a special pair of socks. 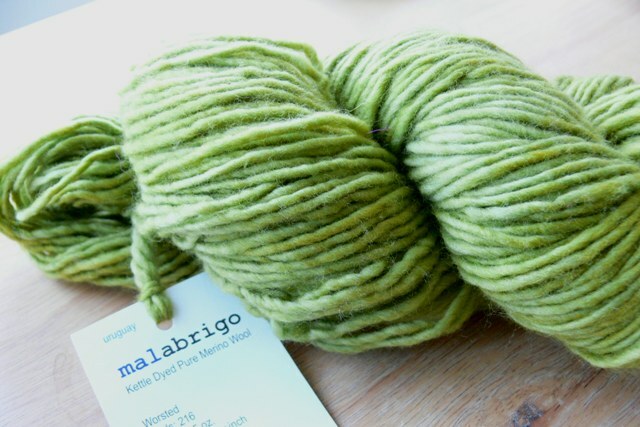 Either way, this yarn is perfect for something worn right against the skin – it’s so soft! 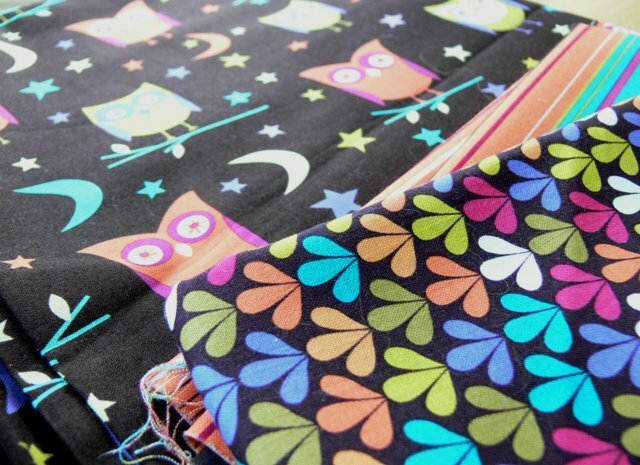 If I had to guess, this will most likely be made into something for Erin, as she is the resident night-owl. In addition to Jaime’s amazingly generous offerings (thank you, thank you! ), Mom Jodie was also kind enough to send back a few things. Thank you for the sweater Mom Jodie! 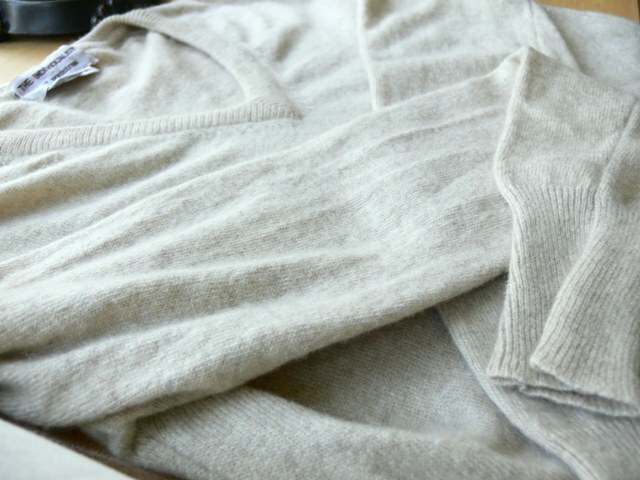 I love it so much – it is the first cashmere sweater I have ever owned, so I promise to take really great care of it. 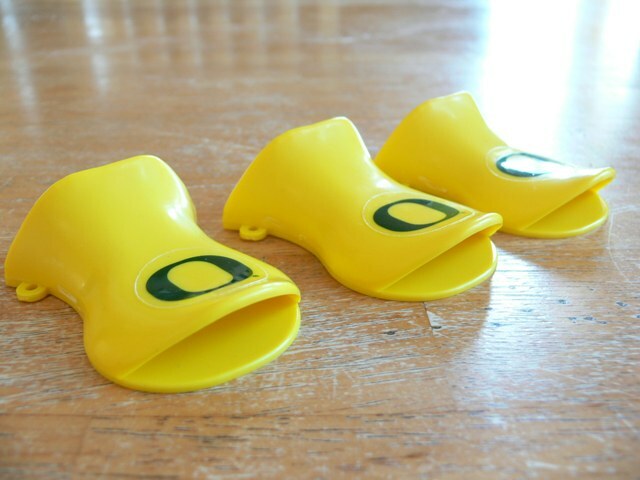 I cannot, however, promise the same about the duck whistles. They will most likely be smashed with a hammer on the back deck before the day is out*. 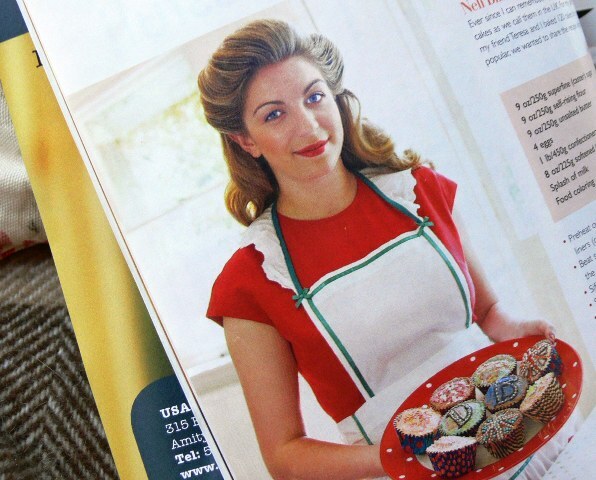 So I finally picked up a copy of the new Debbie Bliss Fall/Winter 2009 magazine, and this issue is chock full of goodies! The knitting stories start out with The Need for Tweed, which includes 6 patterns that highlight the subtle beauty of her Donegal Tweed yarns. 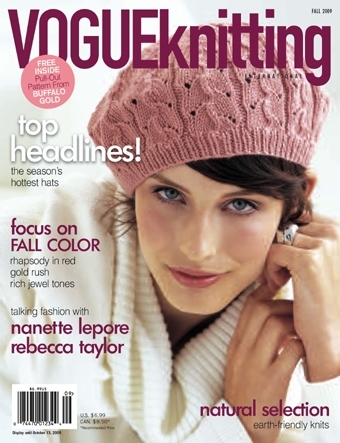 There’s a sturdy, over-sized cable knit tote, sweaters, and the dramatic red riding coat featured on the cover. These pieces will take you from early fall all the way through to the last cold days of winter. The next story is Putting on the Ritz, which gives you 4 elegant jacket patterns for covering up those fancy holiday dresses, but which will also keep you looking chic for when you are out doing your holiday shopping. 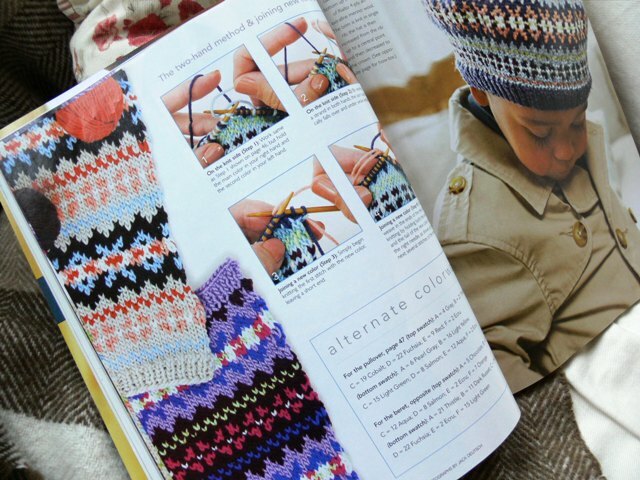 There is a fabulous section on Fair Isle Knitting – which I am dying to learn how to do – and includes a pattern for a 1940’s retro-inspired secretary’s sweater and a sweet child’s beret. For the kids, look no further than Animal Planet, which features adorable scarves with animal faces. With 4 different animals to choose from, you are sure to find something that pleases your little zoo-creature. 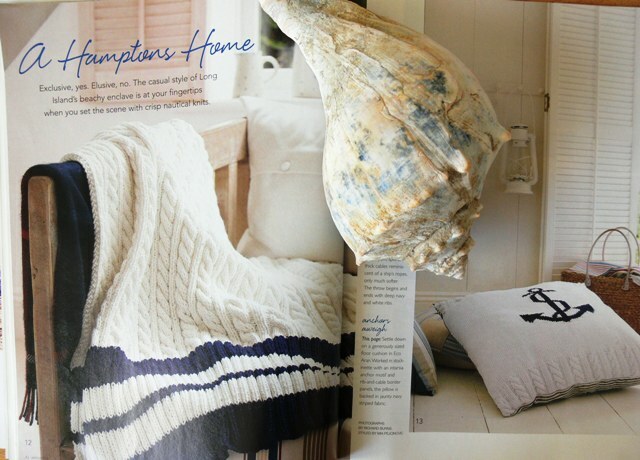 The preppy side of me enjoyed the Britannia Rules story, featuring home accessories knit in British inspired argyles and plaids. From throw pillows to dog beds, socks with leather soles and cozies for both your tea pots and water bottles, any of these knits would make wonderful holiday gifts. 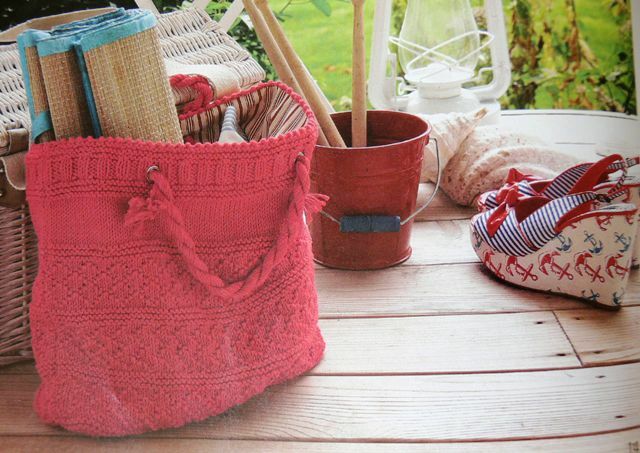 The last knitting story in the magazine is Heaven-Sent, and includes three patterns for baby accessories. 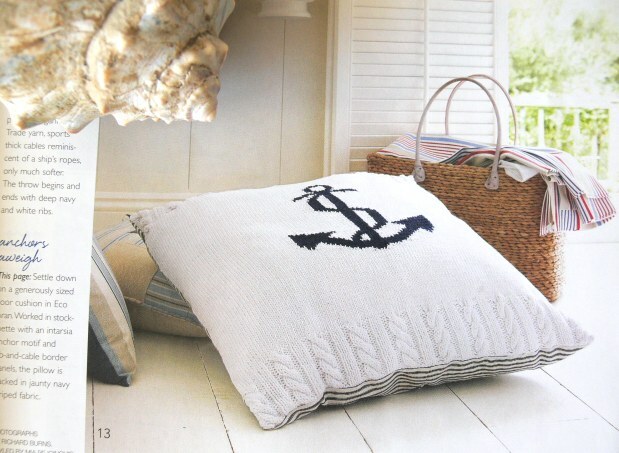 Knit in beachy shades of beige and blue, they offer a nice respite from the dark colors of fall.